I've lived in 4 different countries. Wherever I went, there was Ramen. Korea (duhh), Japan, India, and the U.S. (Chicago and New York). They all had ramen addicts. It was the weirdest experience to see my boyfriend (white, half jewish hahahaha) eat ramen and kimchi. God, no, I didn't force him, I swear! He loves it with kimbap, just like many Koreans do. Anyway! 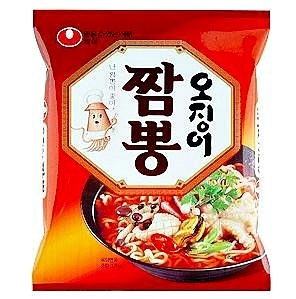 Back to point, let's see Korean's top 10 ramen brands! Let's start from number 10, the least prefered over 9 others. It brings a profit of ﻿almost $2.5 million per MONTH! 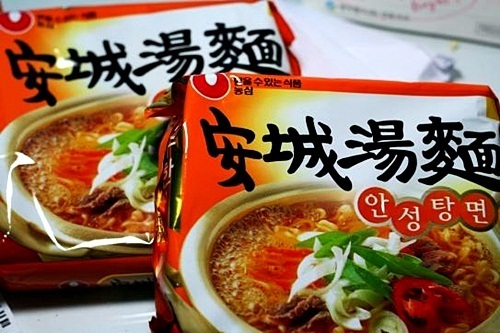 The word "Shin" in its name means spicy. Just looking at it makes me sweat...! 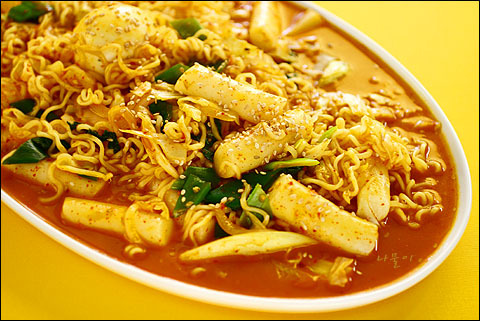 a Koreanized Chinese food, which has spicy soup and a lot of seafood in it. 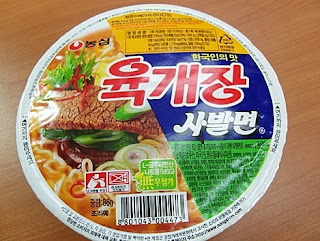 It sort of does taste like Jjamppong. Wang Ttukong literally means king cap. Well, just look at it. It does have a pretty big cap. 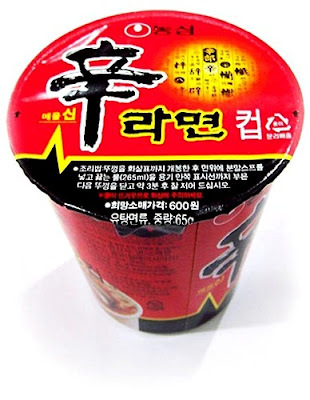 Another Shin Ramen Cup Noodle! Except, it's smaller than #10. But it brings a lot more profit! Yook Gye Jang is actually a Korean traditional soup made with beef and vegetables. Because people love it so much, this company made this a kind of ramen. As expected, it's selling well. 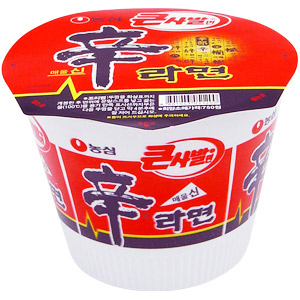 I personally think that it has the best noodle texture. Remember Jjamppong I mentioned in #9? 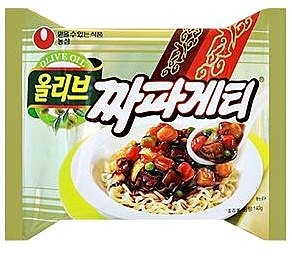 Jjajangmyun and Jjamppong are both Koreanized Chinese food. When you order Chinese food in Korea, it's most likely going to be Jjajangmyun or Jjamppong. Just to make things clear!!! We do not eat Raccoon! There's nothing from raccoon that went into this ramen. and Udon is a Japanese food. So the point of the name is that it is just as good as Udon made in Japan. This is THE FIRST ramen ever made. This is the mother of all ramen. 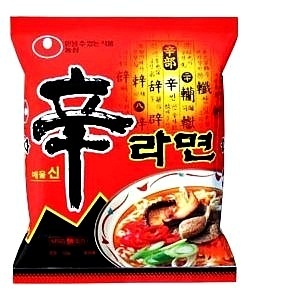 It's not as spicy, so people who don't like spicy food really like this ramen. 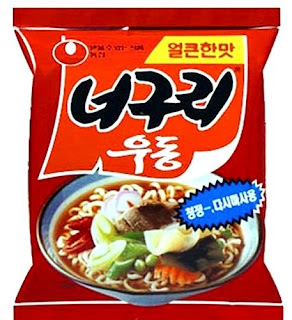 Many people eat it because of their memory of eating it during those good old days. There are two types of reactions after eating this ramen. 1: What the @$%&$% I'm never going near this ramen again in my life. 2: This is my food for the rest of my life. 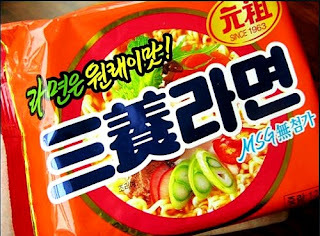 I don't abhor it but I don't really see the point in eating this ramen..
Well, it's still the second most popular ramen! The grand price goes to.....!!! A whooping $19.1 mil profit!!! This King of Ramen brings twice the profit of the next most popular ramen! 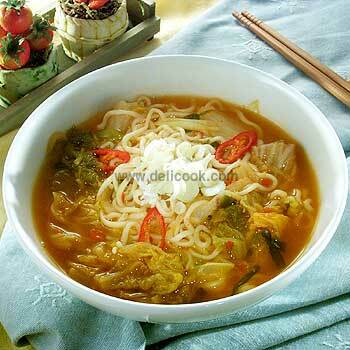 Wow, there are already three Shin Ramens in top ten most popular ramen list! 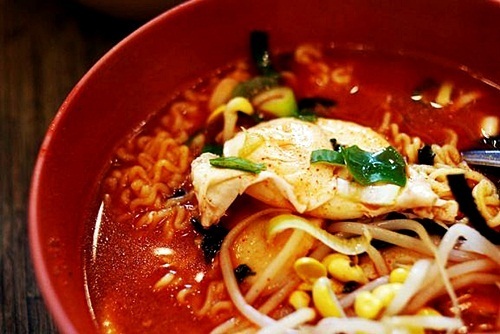 #1, #7, and #10 are all Shin Ramen in different forms or sizes. you'll never get tired of eating this. You can pop in just about any vegetables you like in there. Oh I see eggs and something that looks like oysters, too. Anyone remember from my other blog about foreigner's favorite Korean food? Rappokki is a combined word of Ramen and Tok bokki. 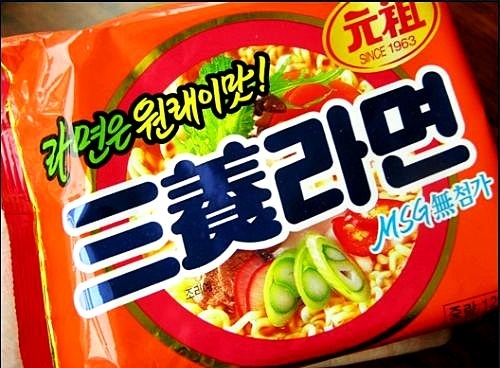 It's basically Tok bokki with ramen noodles in it. I thought it'd taste disgusting. That's what I ate for lunch today hehe. 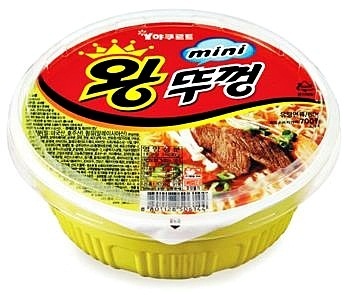 You know that Koreans eat kimchi with EVERYTHING, right? I mean... I've seen people eat it with cupcakes. there are really really good combos like the picture below. See a bunch of vegetables and sausages below? but remember, you can do just about ANYTHING to this thing, and it'll still be pure awesome. No, actually, don't even name it. Just put it in there(with some common sense. Don't put a cupcake in there!!!!!). Just put less soup powder in it. Ramen are available worldwide now.